Today is the day! 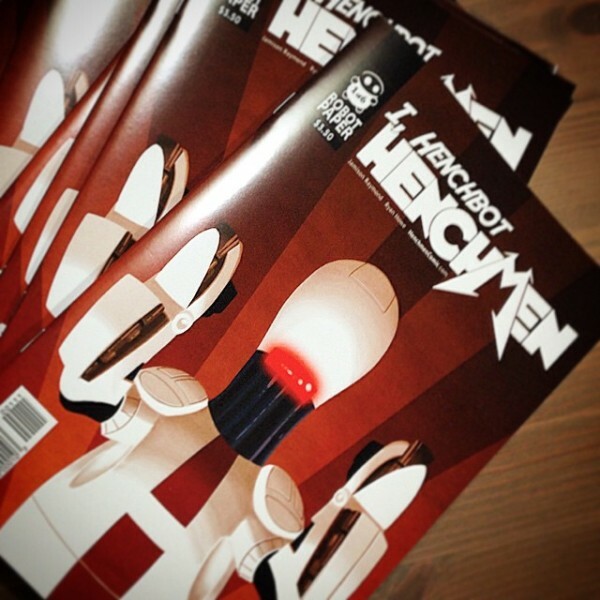 Henchmen: I, Henchbot #1 is on shelves everywhere today – be sure to stop by your friendly neighborhood comic shop today and pick up a copy. 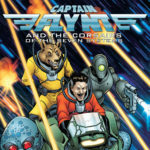 If for some reason your store didn’t order copies in November Previews, or they are all sold out, let them know they can order copies direct from us or buy your own copy! In other news, Brian will be sharing a table with Lee Cherolis of Little Guardians fame at Wizard World Indianapolis on February 13th, 14th, and 15th. Let us know if you will be at the show and be sure to stop by and get some books and other cool stuff! 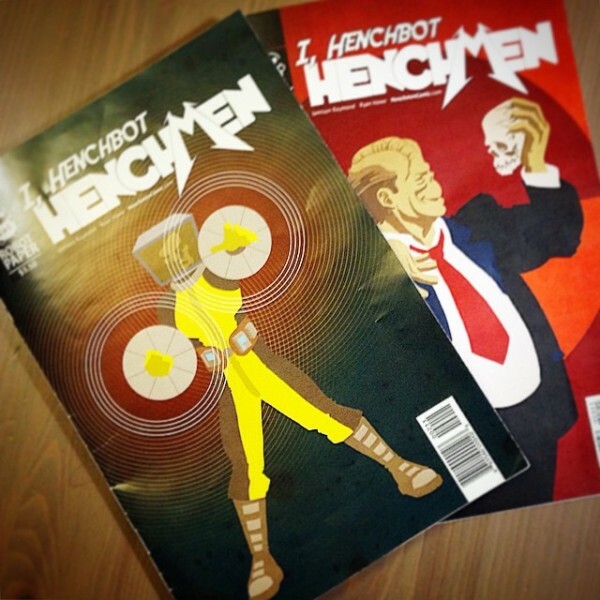 We also are currently proofing issues two and three – issue two of I Henchbot picks up where issue one left off – don’t miss out!